Matthew 18:21-22, Then came Peter to him, and said, Lord, how oft shall my brother sin against me, and I forgive him? till seven times? 22 Jesus saith unto him, I say not unto thee, Until seven times: but, Until seventy times seven. The “red letters” of Jesus are often difficult to swallow and they are even more difficult to live. 🙂 Yet, our relationship with God, our personal lives, our marriages, our families, our churches, and our communities, would be in far better shape today if we would hear and heed these words of Jesus! In the same way that we have all hurt others, others have in the past, and will in the future, hurt us. Just no getting around it! If and when we choose not to forgive someone who has “wronged us,” by default, we are choosing to not only disobey Christ, but choosing to allow bitterness to creep into our hearts and fester. Therefore, we must learn to forgive and forget for Christ’s sake and for our sake! 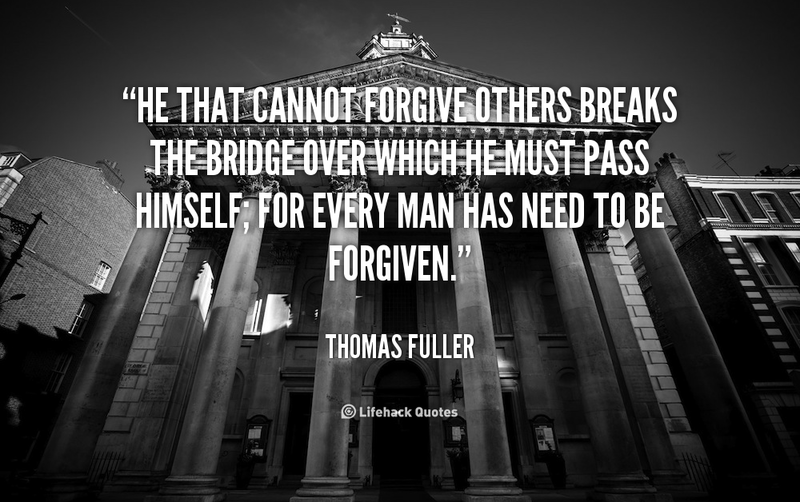 Is there someone that you need to forgive today? Just reflecting on those “red letters” of Jesus!